Blog / What Message are you REALLY Sending? – A Few Tips on Composing your Business Emails. As a High School student, I remember dreading English classes. They bored me. I had no interest learning about sentence structure or grammar; even less about spelling. Mr. Terry Stit was a great English teacher, but I was not a willing student. 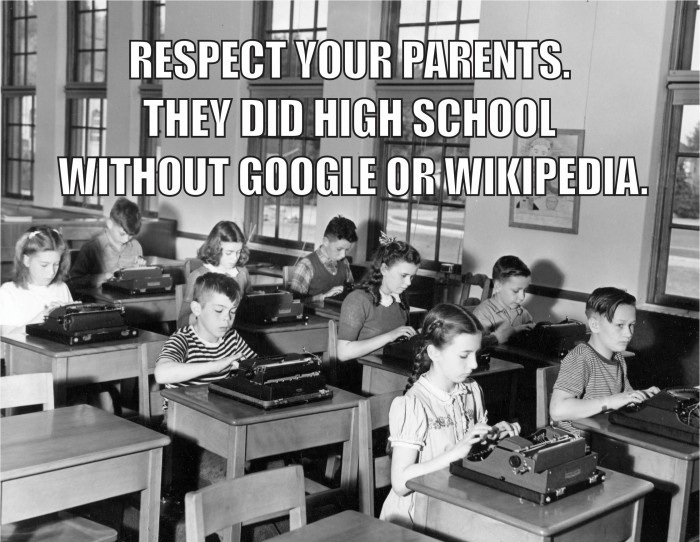 The other class I hated was typing. I thought it was a waste of time, as I couldn’t see myself typing letters to anyone. It’s ironic that I now spend most of my day typing Emails to Clients, Vendors and other Business Colleagues. I’m sure Mr. Stit would have a good chuckle! Of the roughly 500 Emails I send and receive each week, I see a significant number that could use some work. I’ll be the first to admit that many of my own compositions would not stand up to careful scrutiny, but perhaps a few thoughts from a Technical and Business perspective would be in order. Email is THE Standard and preferred communication of Business. For the most part, it’s private, it can easily be saved and categorized, and it’s easy to delete unwanted garbage. The same cannot be said for most forms of Social Media; Facebook, Twitter, Instagram, and Instant Messaging all have one or more flaws that make them unsuitable for Business communication. Email started in the early 70s, as a communication method between University computers. Ray Tomlinson is credited with popularizing it on ARPANET, an early inter-University communication network. Despite huge Technological advances, the Email system in use today is very similar to early versions. For the most part, Email is a text-based media, although it’s now possible to embed graphic content and attach files in all sorts of formats. Most people create a standard signature block for their Emails. It contains the usual content; name, contact information and a Privacy Disclaimer. But somehow these have grown to include all sorts of other information; stylized fonts, corporate branding in the form of logos and tag lines, graphics, and now pictures of the Sender. The signature block often exceeds the length of the message by several inches. However, there is a technical reason for limiting this content. Many Email servers are designed to strip out this content, as they are set to pass “text only” in a standard font. They eliminate font styles and sizes, colours, paragraph formatting, images, and embedded hyperlinks to websites. They can turn the most elegant and sophisticated Email into unreadable junk. You should also consider the device the reader may be using. Much Email is now read on Smartphones and Tablets. Their small screens and narrow vertical-portrait format make long stylized signature blocks difficult to read. Thus, it’s best to keep signature blocks simple and concise; your Readers will appreciate it. You should also include your Email address in the signature block. It may seem redundant – as the Reader has your Email address in the header of the Email. But many times, your Email may be forwarded – or copy-pasted – to another Recipient. In that case, the header of the original Email may be deleted. Thus, your Email address in your signature block is a necessary courtesy. Some Users don’t include their signature blocks when they reply to the original Sender, but it may be a requirement if you have a Privacy Disclaimer. Finally, many Users create different signature blocks for each device they use for Email. For example, I tag my Smartphone Emails with “Sent from SmartPhone – Privacy limitations apply.” It eliminates the lengthy Privacy statement – and implies a bit of extra–grace–required; everyone knows how hard it is to use Smartphone keypads accurately, so a few errors and abbreviations are more readily accepted. Despite someone’s artistic best intentions, these are fast becoming a pet-peeve of mine. In many cases, the image is distracting and makes the message difficult to read. Worse, when you reply to one of these Emails, the stationery or colour sticks to the reply. Now it looks like it’s your personal choice. I received one Vendor Email recently with dark blue background and white text. When I replied, Outlook set my text to medium blue on the dark blue background. I couldn’t see what I was typing. Result: I didn’t bother replying and I chose another Vendor instead. It cost them many thousands in lost business. For me, the ultimate bad-taste award goes to those who use Email Stationery and a cursive font. The Authors want you to believe they chose a piece of personalized notepaper from their desk and penned a hand-written note. Bah! If you want to send a hand-written note, then do so – don’t cheat. I delete those Emails too. I’ve discovered a simple and effective way to reduce – if not eliminate – the vast number of Email spelling and grammar mistakes. Re-read the message before sending it! Countless times, I have spent less than a minute re-reading a message, only to discover it made no sense whatsoever. Simple corrections can make you sound more professional, or at least make you understandable. Capitalization and punctuation also count. It used to be a trend to type in all lower case. The problem came when someone also forgot a period and so the message became one long ramble. Thankfully, I see less and less of the sans-cap formatting. Finally, I like to keep paragraphs short – one or two sentences – and I space the paragraphs with a blank line in between each. Avoid the paragraph spacing options, commonly used in Word or Outlook – as some Email programs either eliminate them or carry them through to Replies. Just tap the Enter key twice when starting a new paragraph. Well, I hope Mr. Stit is happy. One of his problem-students is giving advice on English composition. Who said the world can’t change? If you would like to share your Email composition tips, please Email me or your Account Manager – just no Email Stationery please.